Happy 2018! A new year at HHP means a new focus, and this January we’re focusing on our engine rebuild kits and the parts in them. 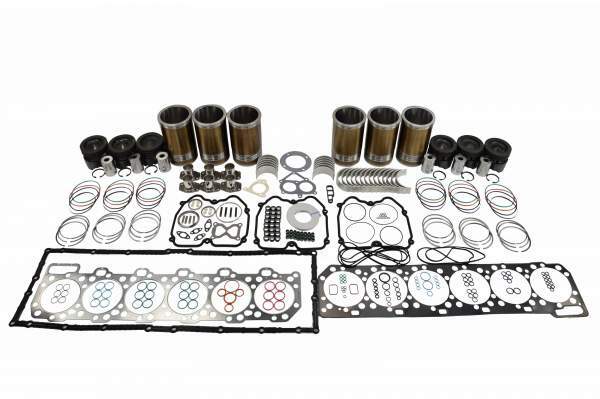 To kick off the month, let’s go over our featured engine rebuild kits and components! We have a lot of products that are awesome, but this blog is about the ones that truly stand out. We’ll go over some of our best-selling re-ring and inframe kits, as well as kit components like connecting rods and gasket sets. This kit goes all in with forged steel pistons. These lightweight and high-strength pistons expand and contract less than traditional pistons, giving them (and your engine) a longer life. The oil control rings around these super-awesome pistons are designed with precise tangential tension, keeping your oil firmly controlled. Plus, the piston pins in this kit are specially hardened and tempered for improved strength and wear resistance. Pretty awesome kit, right? You’ll never even need to use the manufacturer’s 2 year, parts and labor warranty that comes with it. 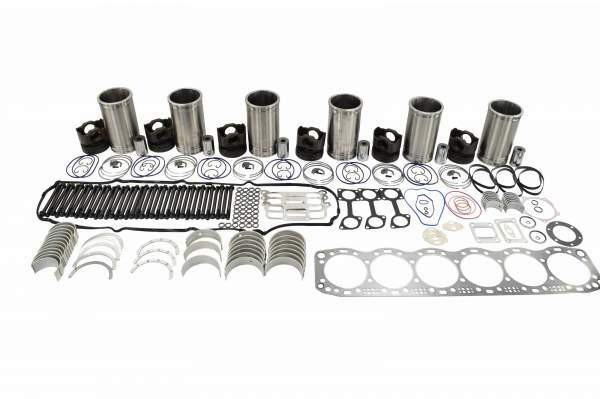 This kit is for ISX engines that don’t have APR, but the pistons are in the latest, closed-skirt design, and are made from a heat-treated, high-strength steel. The cylinder liners are induction-hardened for improved wear and resistance. The main and rod bearings are constructed from a bi-metal material, and are steel-backed, giving them exact fitment, strength, and durability.This kit will have you set for the long haul, and it’s got the 2 year, unlimited mileage, parts and labor warranty to prove it. This kit is for an inframe rebuild on a Cummins N14 engine. The pistons are ferrotherm pistons, which are a hybrid design that have an aluminum skirt and a steel crown. They are so strong that the piston crown is created to withstand pressure in excess of 2150 PSI, so it will never fail you. And the pistons have a profiled bore design that increases their longevity, keeping your ol’ faithful engine running longer. The 2 year, parts and labor warranty guarantees you’ll be satisfied. This kit has one-piece pistons made from forged steel; they’re lightweight, high-strength, and made to give your engine a longer life. Plus, they have a longer skirt design, which reduces wear and scuffing. Yeah, the aftermarket manufacturers do really know what they’re doing. 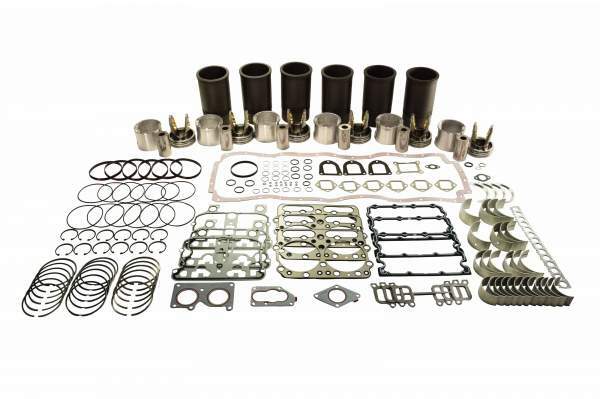 In addition, this kit includes the head bolt kit you’ll need when you do your rebuild, and each bolt is made with quality steel so your head stays firmly in place. Moving to the bottom of the engine, the oil pan seal in the kit allows for easier access to the lower part of the engine, and the rectangular groove compression rings reduce blowby and oil consumption. All of this is backed by a 2 year, unlimited mileage warranty. This inframe kit for a C15 engine has induction hardened cylinder liners, specially designed to reduce bore wear. The bi-metal piston rings are made from cast iron and steel, with wear-resistant materials, making them unstoppable. Your engine will be able to keep its cool, because this kit has an updated o-ring design that stops the risk of any coolant leaks. Plus, the 2 year, unlimited mileage warranty guarantees you won’t need to worry about quality. This kit is for Caterpillar 3406/B/C engines with small piston pins. The pins may be small, but the benefits of this kit are not. The forged steel pistons provide unstoppable strength and durability, so your engine will last. The premium quality ring sets keep your oil consumption as low as it can get. Who has time to sort through dozens of seals and gaskets? Not you; that’s why we thought ahead and organized the gasket sets for you, so you spend less time sorting and can get back on the road as quickly as possible. And the 2 year, parts and labor warranty basically guarantees your satisfaction. This kit has everything but the pistons, saving you money if your old ones are still in good shape. The piston rings have the latest “high load” fire ring design, enabling them to last longer. The cylinder liners are CNC machined, and exceed OEM tolerances. Complete sealing is ensured with the high performance gasket material. And the turbo mounting studs and nuts are specially made to resist loosening due to thermal cycling. 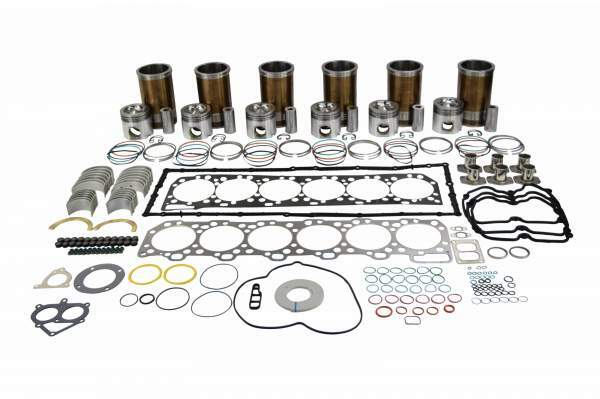 To top it all of, this re-ring kit comes with a 2 year, unlimited mileage warranty. Assembled in an ISO 9001:2008 certified facility, this kit checks all of the boxes for quality. The pistons are CNC turned, so they have precise fitment, strength, and durability. 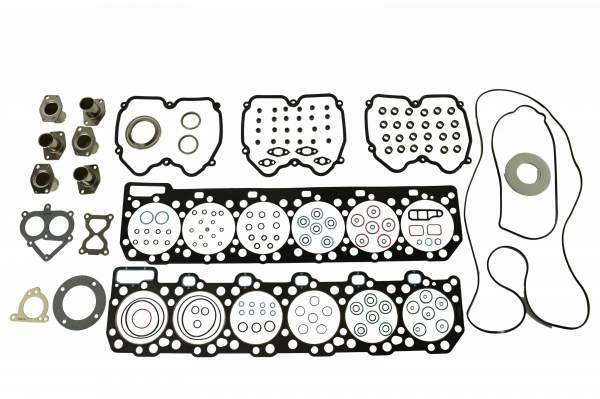 Plus the gaskets are designed for excellent functionality and sealability, so your engine will be completely leak-free. Need proof that this kit is the best it can get? The manufacturer is so confident that they provide a 2 year parts and labor warranty. Engine rebuild kits are great and all, but they’re also made up of other parts that are pretty awesome on their own. Take this cylinder kit, for example. It has an induction hardened cylinder liner that reduces bore wear, and a forged alloy steel piston. 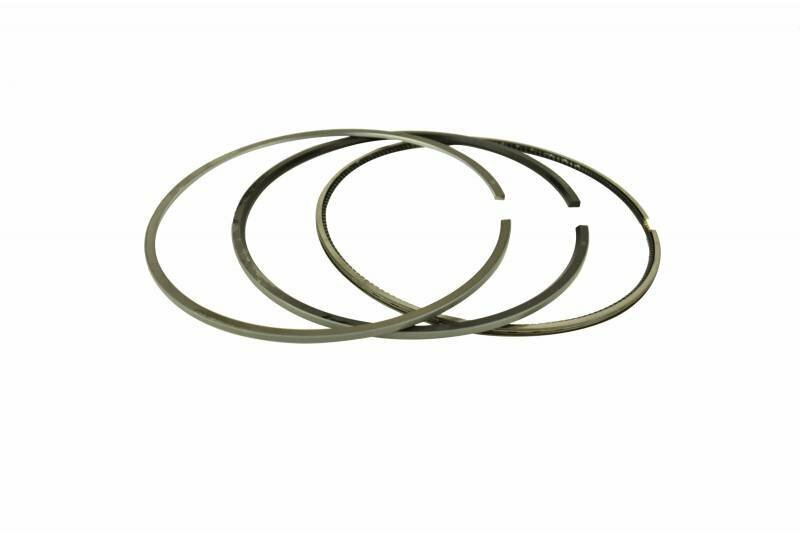 The piston rings are the newest style, with the “high load” fire ring design that increases their life, and are coated with wear-resistant materials. 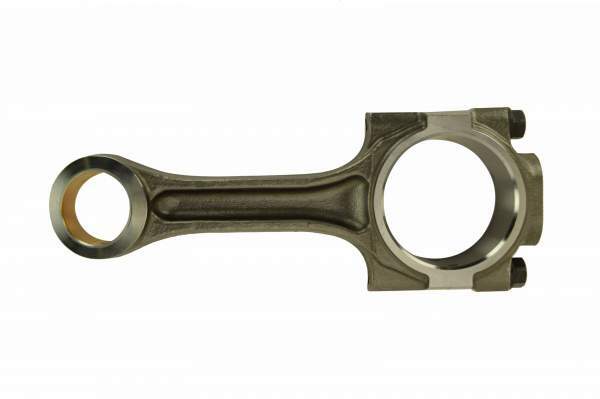 Plus, the piston pin is hardened and tempered to improve their strength and wear resistance. Yeah, no need for the 2 year, unlimited mileage warranty this kit comes with. This ring set is manufactured and assembled in an ISO 9001:2008 certified facility, ensuring that it functions at optimal performance. The rings are made with premium materials that give you long-lasting strength and durability. All the rings in this set are made to exact OEM specifications, and are made to equal or better quality than the OEM. What does that mean for you? Simply put, you get the same thing for a smaller cost. Oh, and also an industry-leading 2 year warranty. 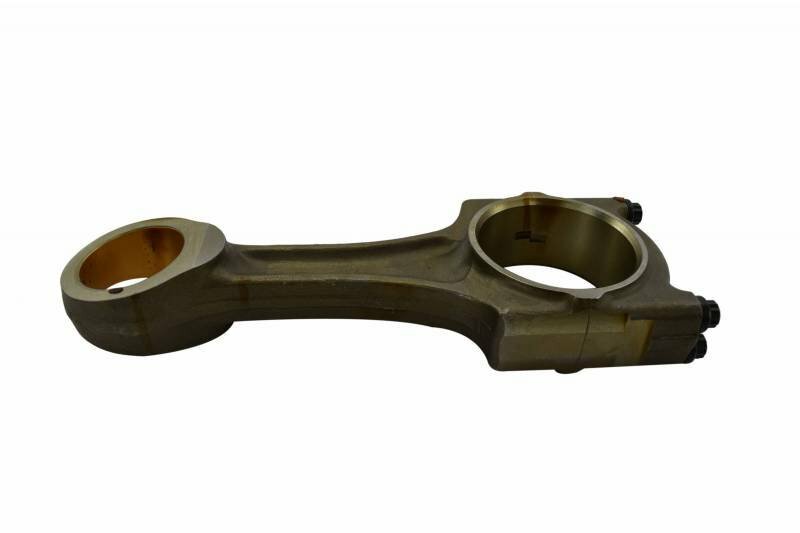 This connecting rod for 3406E engines is brand new, so you get as much life out of it as possible. It’s constructed of a high-strength steel that provides long-lasting dependability. It’s designed for use with two rod bolts for even more strength. It’s also manufactured in an ISO 9001:2008 certified facility, so you know it’s experienced unmatched quality control. That quality is also backed by an industry-leading 2 year warranty. This rod fits in Cummins ISX and QSX engines. It’s a drilled connecting rod that must be used with a one-piece steel piston. It’s made to equal or better specifications than the OEM version, giving you the best possible quality while saving you money. That quality is achievable because it’s made in an ISO 9001:2008 certified facility. Add on the 2 year warranty, and this connecting rod is definitely a winner. This spacer plate is manufactured in a state-of-the-art facility to exact OEM specifications, providing OE quality at a fraction of the price. 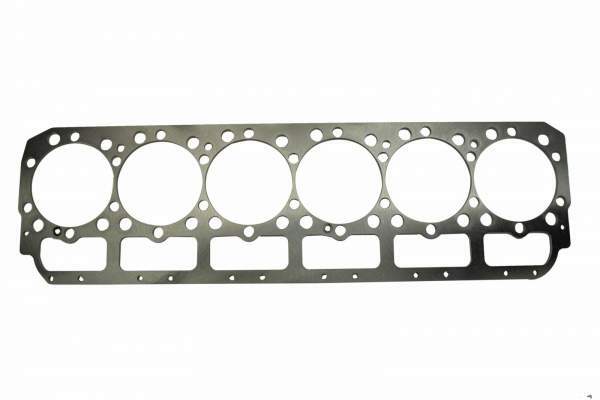 A new spacer plate like this one can restore your engine’s compression ratios back to factory specs. Plus, this spacer plate has an industry-leading 2 year warranty to prove its quality. 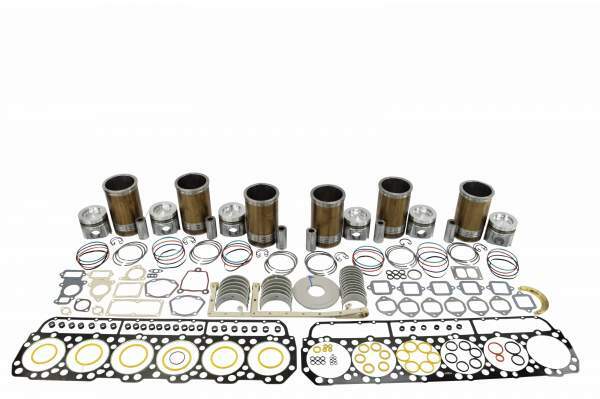 This set has all of the gaskets you need when rebuilding the upper part of your Cummins N14 engine. All gaskets are manufactured to OE specifications, and the materials used for each gasket are chosen based on pressure, temperature variations, and contact with fluids and surfaces. Plus, our USA-made sealing products are 100% asbestos-free. This winning set even has a 2 year warranty to prove its quality. 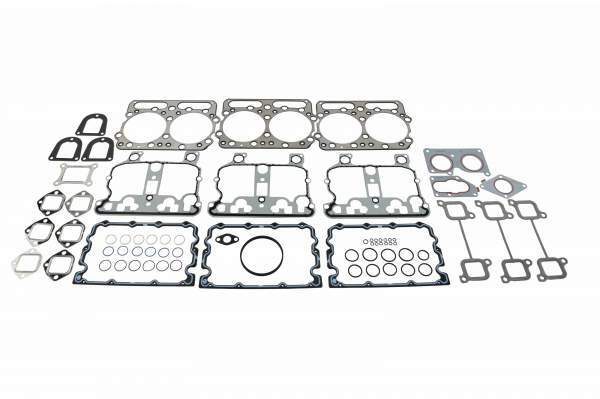 This gasket set fits on Caterpillar C15 Acert engines. All components of this set are made to exact OEM specifications, so you’re basically getting the same thing for a much better price. The manufacturer is an ISO 9001:2008 certified facility, so you know quality isn’t an issue. The o-rings in this kit are individually numbered to save you time during installation, because we all know how true the saying “time is money” is. The manufacturer is so sure you’ll be satisfied that they even back this kit with an industry-leading 2 year warranty. 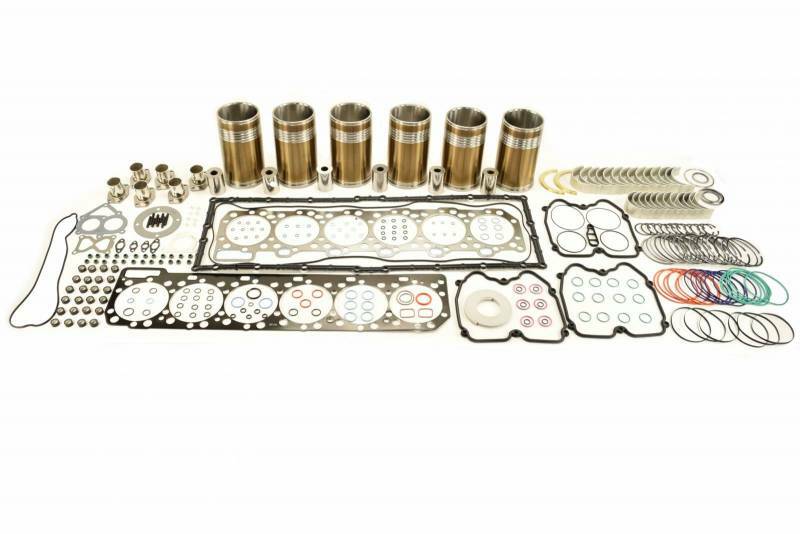 So there you have it, folks - some of our most popular engine rebuild kits and kit components! If you’re installing a engine rebuild kit in your engine, always remember to break your engine in properly. Not properly breaking in your engine could lead to fuel consumption and power loss, basically ruining the point of rebuilding your engine in the first place. Any questions about our kits and kit components left unanswered? Need a kit that fits your engine? Give us a call at 844-215-3406 or request a quote online!